For this snowman cake, I used 5 mixes. 4 for the circle and 1 for the snowman on top. I iced in buttercream and used candy for trim. Join in and write your own page! It's easy to do. How? 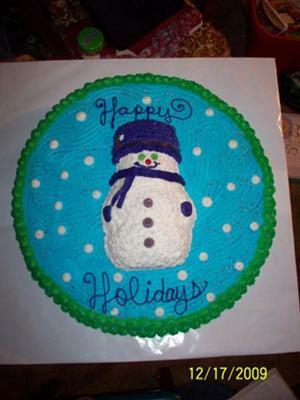 Simply click here to return to Snowman Cake.